Enter formula for Units Consumed= D5 - C5 in cell with cell reference E5. Enter formula for Electricity Charges =IF(E5>200, E5*15,IF(E5>100, 1000+(E5-100)*12, E5*10)) in cell with cell reference F5. Enter formula for Surcharge = IF(F5>5000, F5*5%,IF(F5>1000, F5*3%, 0)) in cell with cell reference G5. Enter formula for Bill Payable =SUM(F5:G5) in cell with cell reference H5. 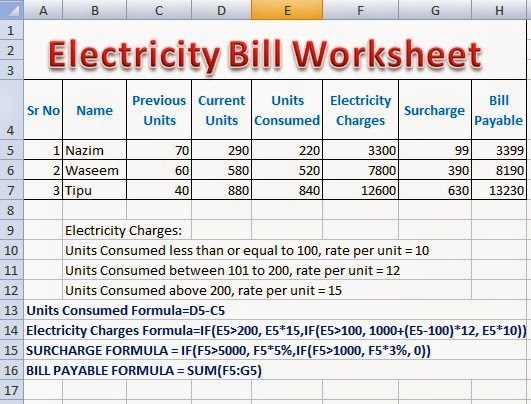 So, the worksheet with Electricity Bill Calculator Formulas in Excel Worksheet has been prepared successfully. 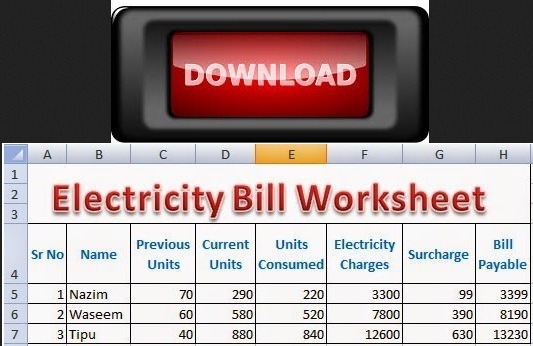 Electricity Bill Calculator Worksheet with Formulas in Excel is normally required to be prepared by the students of a Basic Microsoft Office Training. 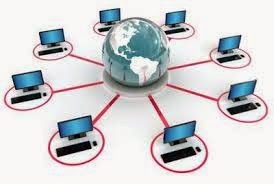 There are very simple formulas used to calculate monthly electricity bill of the customers living in a town. Although, the electric supply company may use a customized software for preparing electricity bills, the students of Microsoft Excel will learn the use of different formulas and built-in functions to prepare Electricity Bill Calculator Worksheet with Formulas. Microsoft Excel can be very helpful to prepare such worksheets.